I brewed Wampum Baltic Porter up at C.B. & Potts in Fort Collins this past Friday and it went great. This is my 2013 Great American Beer Festival ProAm entry. We hit all of the numbers for my recipe. Kirk and Eric were great to work with up there and I appreciated their attention to detail with every aspect of my recipe from start to finish. 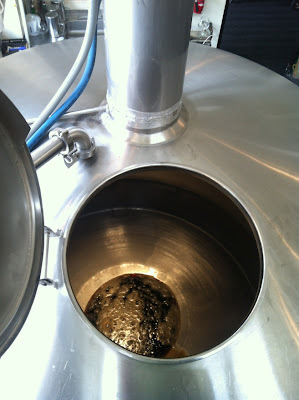 We brewed 15 barrels of my beer, which equates to almost 500 gallons! We used a little over 1200 lbs. of grain. It was huge. If the fermentation goes as planned, we should be sitting at around 8.7% ABV. For those of you that don't know, a Baltic Porter is a higher strength porter brewed with a lager yeast. Therefore, it turns out to be dangerously drinkable! 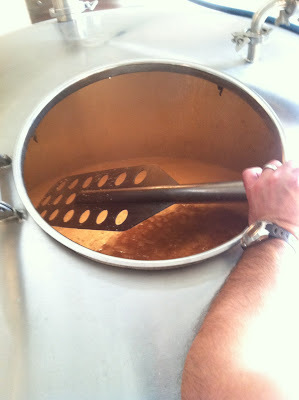 It was a great day of brewing and I'll keep everyone posted about when the beer will be ready for consumption! On a smaller note, I'll be brewing my Oktoberfest beer this weekend at home to be ready by the end of September. I'll be using an Augustiner lager yeast for fermentation. The guys at C.B. & Potts were nice enough to give me some of the same yeast out of the fermentor cone that is being used to ferment my Wampum Baltic Porter! Perfect. I will also be brewing a Double IPA with all of my older hops...it will be crazy. I am shooting for an 8.5% ABV beer with about 3 lbs. of hops in it. I was sick of looking at the hops that I never use, so why not try to use them all at once! How about Infinty IBU IPA for a name? 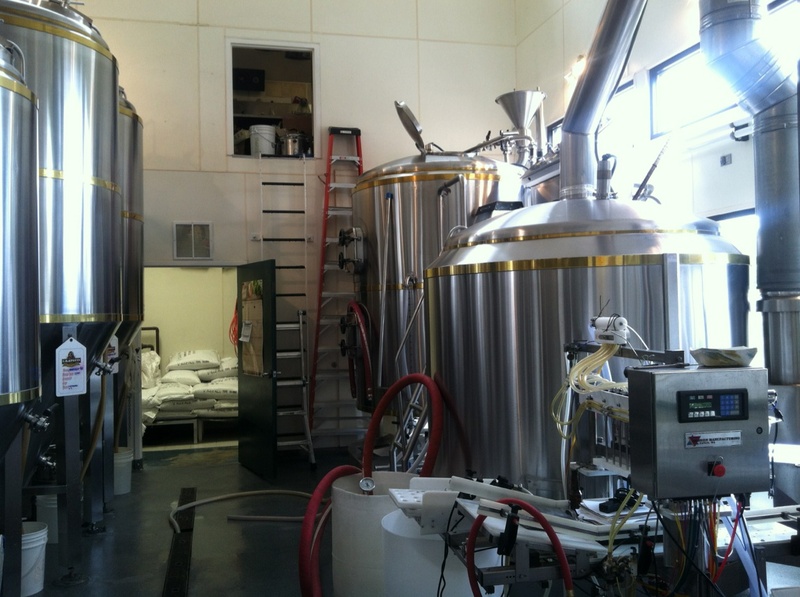 Sandbox American Wheat is conditioning in the kegs and Cottonwood Abbey is finishing up in the fermentor.